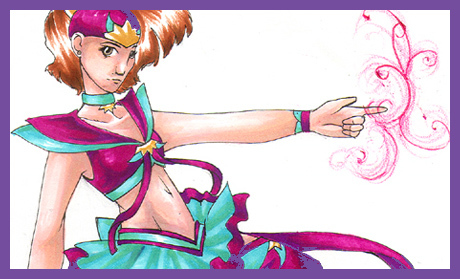 This image of Sailor Tiane was made by Hotaru . On the other side of the galaxy from Earth, Sailor Tiane lived to protect her peaceful star. Until the arrival of Shadow Galactica, her powers had hardly been tested. When Sailor Tiane was unable to defend herself against their immense power, she was killed and died in the arms of her boyfriend, Caleb. Her dying words gave him an impossible task: to defend the planet in her place. He got right to work.